The 21st Century Cures Act has been “hijacked” by corporations, Senator Elizabeth Warren warned on Monday. In 2002, the Food and Drug Administration approved a medical device called Essure, which seemed like a simple, safe option for women who wanted permanent contraception but didn’t want to go through surgery. The device consists of two nickel coils implanted in the fallopian tubes; they cause scar tissue to form, blocking the tubes. The FDA fast-tracked the device’s review, approving it after only brief clinical trials. But it turned out that the device was neither as safe nor as effective as expected: as many as one in 10 women who used Essure got pregnant, thousands reported injuries or other serious complications, and a few died. Now Congress is considering a major piece of legislation that could further weaken the FDA’s standards for approving drugs and devices, which many medical experts say are too lax already. Known as the 21st Century Cures Act, the bill is a top priority for Republican leaders in the lame-duck session as well as for the pharmaceutical and medical-device industries. The bill, which was released over the holiday weekend and runs to nearly 1,000 pages, has attracted more than 1,455 lobbyists to the Hill. The sweeping $6.3 billion measure covers everything from foster care to mental illness and Medicare. It creates a faster review pathway for “breakthrough devices,” and allows the FDA to accelerate approval of stem-cell therapies—clearing the way for “innovation,” according to the bill’s supporters; or, consumer advocates warn, potentially exposing patients to dangerous or ineffective devices and medicines that weren’t thoroughly reviewed. The legislation also contains funding for the National Institutes of Health, the FDA, and for addressing the opioid crisis. That money is sorely needed: Federal spending on medical research has fallen some 20 percent in the past dozen years. But progressive lawmakers are warning that Republicans are trying to buy support for dangerous regulatory changes. “I cannot vote for this bill. I will fight it because I know the difference between compromise and extortion,” Massachusetts Senator Elizabeth Warren said in a floor speech on Monday afternoon. Warren called the promised funding “only a tiny fig leaf” covering “huge giveaways to giant drug companies.” Moreover, she noted, the money for NIH and addiction treatment isn’t even guaranteed. Most of it will be directed to special funds, which have to be approved each year by Congress. That means the funding could be denied or held hostage in the future. 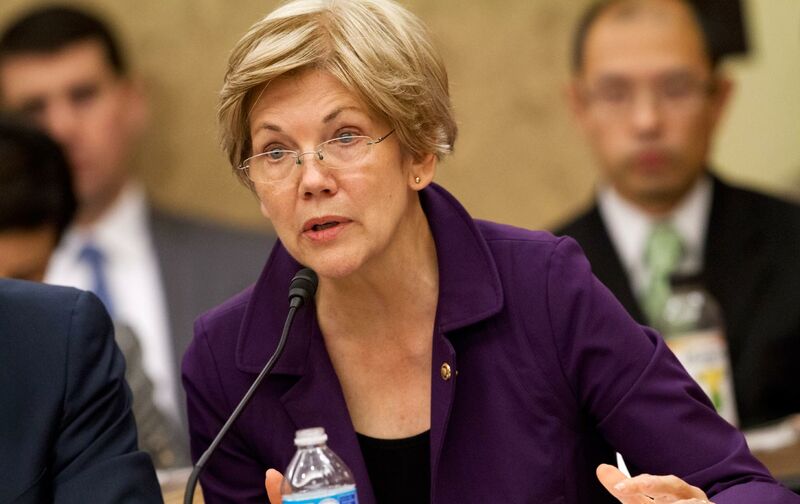 Warren objected to several specific provisions in the bill. One would “legalize fraud” by permitting drug companies to use a lower scientific standard to market drugs for uses other than what they were initially approved for. Another measure would “cover up bribery” by watering down a transparency law that requires drug and device companies to publicly disclose meals, gifts, speaking fees, and other money paid to doctors. The House is expected to vote on the legislation on Wednesday, though as of Tuesday afternoon lawmakers were still negotiating over several provisions, in particular the loophole in the transparency law regarding drug-company payments to doctors. Then the measure will go to the Senate. In her speech, Senator Warren set up the vote as test of the Democrats’ resolve in anticipation of an incoming administration that will surely look for other ways to gut health-and-safety regulations. “Republicans will control this government, but they cannot hand that control over to big corporations unless Democrats roll over and allow them to do so,” Warren said.